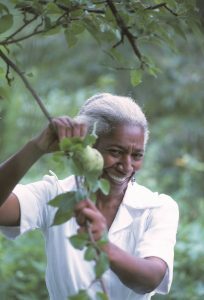 Image: Edna In Garden of Ellerslie Plantation, 1975. 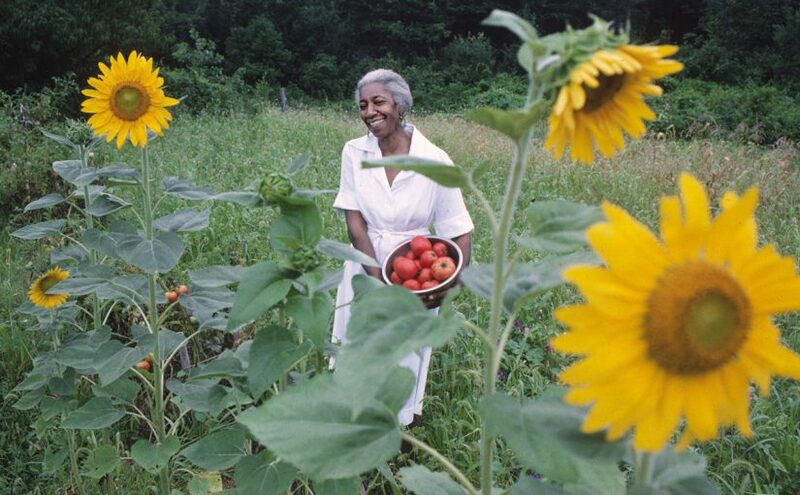 Starting Oct. 27, Haverford College will celebrate Lewis’ legacy with Edna Lewis: Chef and Humanitarian, an exhibit of 40 black-and-white and color photos of Lewis by John T. Hill, a close friend and photographer who made the portrait that adorns her first cookbook, alongside Lewis’ own family photographs, articles on southern cooking, and her books. All of the visual material is accompanied by wall texts to complement the photographs, Lewis’s life, and her rural African and American roots—the effect of which is to show how her environment influenced her approaches to cooking and living. And live Lewis did. In many ways the first African American celebrity chef, Lewis published four cookbooks, three of which were edited by Julia Child’s editor, Judith Jones. 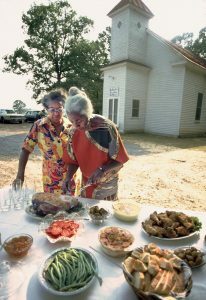 She cofounded the Society for the Preservation and Revitalization of Southern Food, a precursor to today’s Southern Food Alliance. She garnered numerous awards, including the very first James Beard Foundation Living Legend Award. And she is one of only five great American chefs to be honored with a U.S. Postal Service stamp, alongside Julia Child, Joyce Chen, James Beard, and Felipe Rojas-Lombardi. 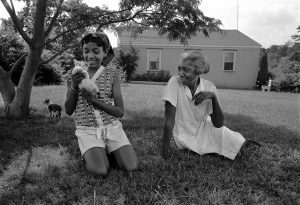 Hill’s photographs offer documentary and interpretive views of this true American original and the culture she embodied. While her contribution to the world of food is well deserved, her generosity, tolerance, and sense of justice are equally worthy of note. 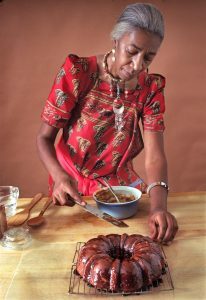 Edna Lewis: Chef and Humanitarian will be on view Oct. 27 through Dec. 9, at Haverford College’s Atrium Gallery in Marshall Fine Arts Center. An opening reception will be held Friday, Oct. 26, from 5:00 p.m. to 7:00 p.m. in the gallery. The Atrium Gallery, in Marshall Fine Arts Center, is open Monday through Friday 10 a.m. to 5 p.m. and Saturdays and Sundays from noon to 5 p.m. For more information, contact Audrey A. and John L. Dusseau Professor of Humanities William Earle Williams at wwilliam@haverford.edu.